The best way is to measure around where you wear the belt. Alternatively, you may measure at the fold, or where the buckle meets the leather, to the hole that you currently use. The rest of the belt is not considered for measurement purposes. "do not include the buckle length in your measurement". 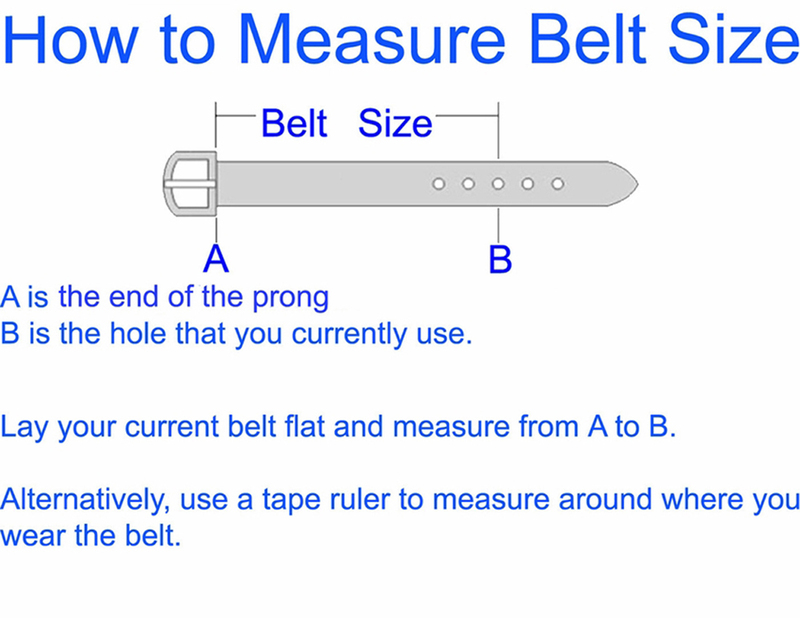 Belt Strap: Using an existing belt, correct measurement begins from the place where the buckle connects to the belt to the current hole that you use.